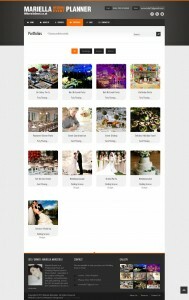 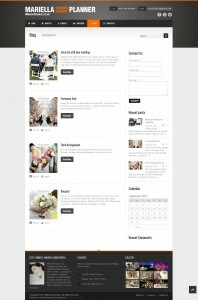 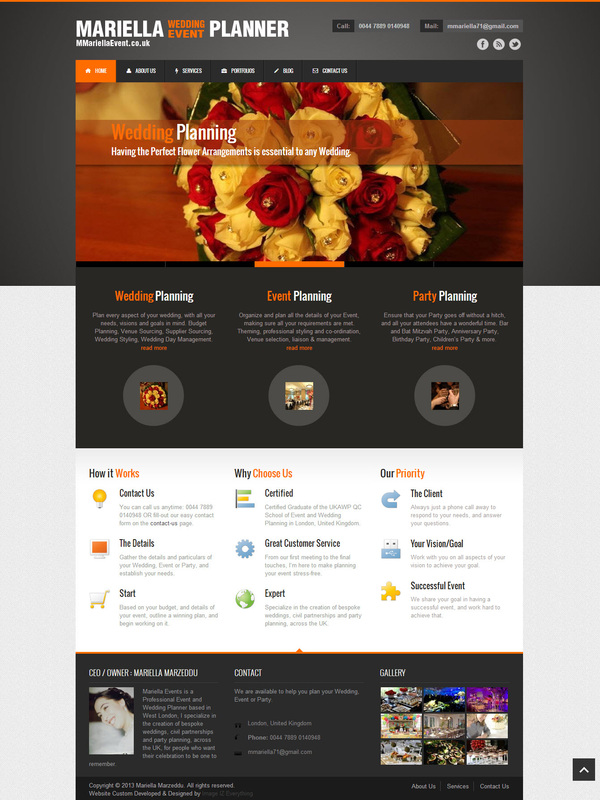 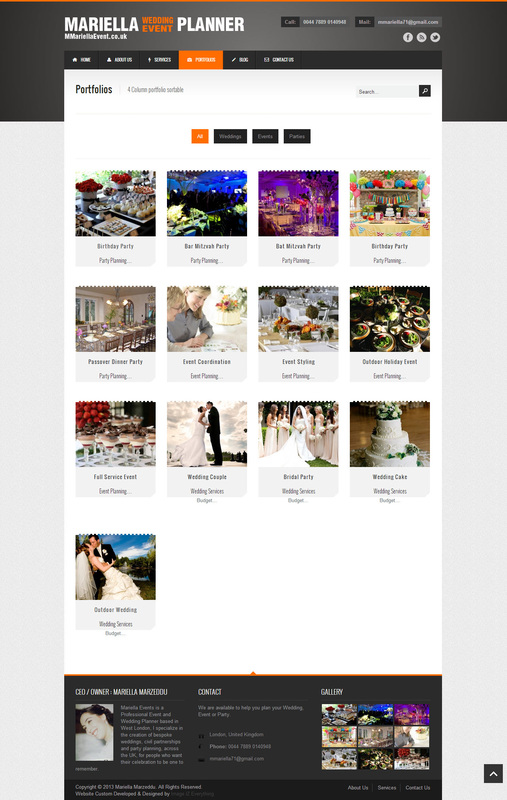 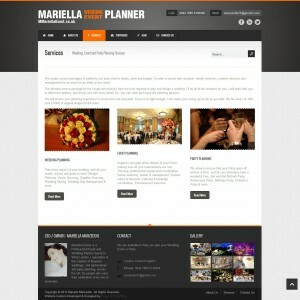 Wedding Planner / Event Planner / Party Planner Website Package. 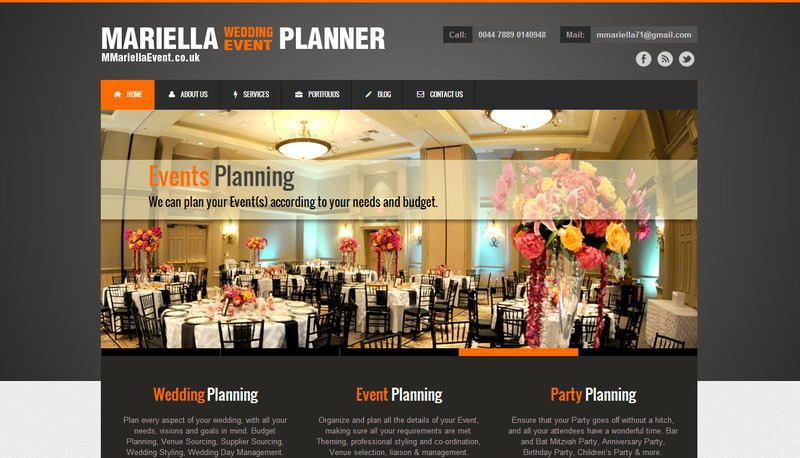 Description: Custom Development of a Elegant Wedding / Event / Party Planner Website tailored to your services & needs. 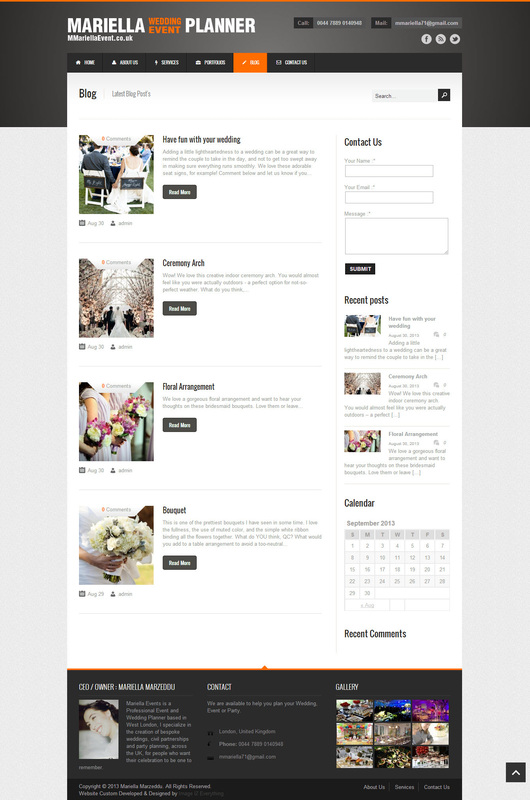 Feature your Business/Services and Portfolio in an Elegant Style, reassuring your Clients you can provide that professional, sophisticated touch they are looking for. 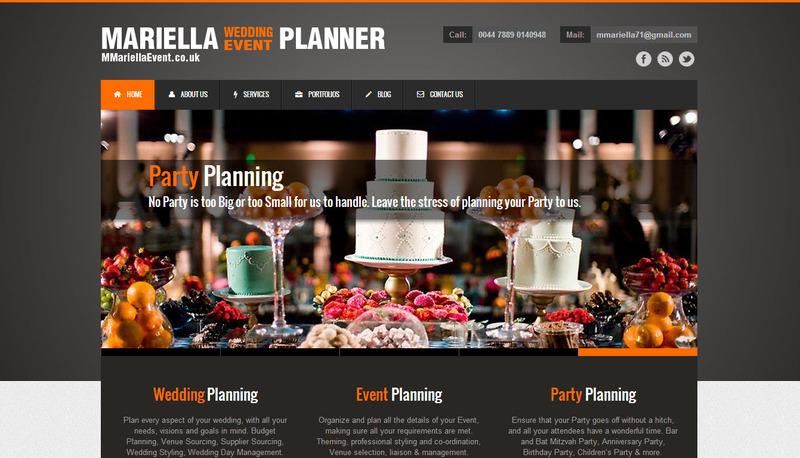 Your website will be customized to your taste & color scheme, and include your content. 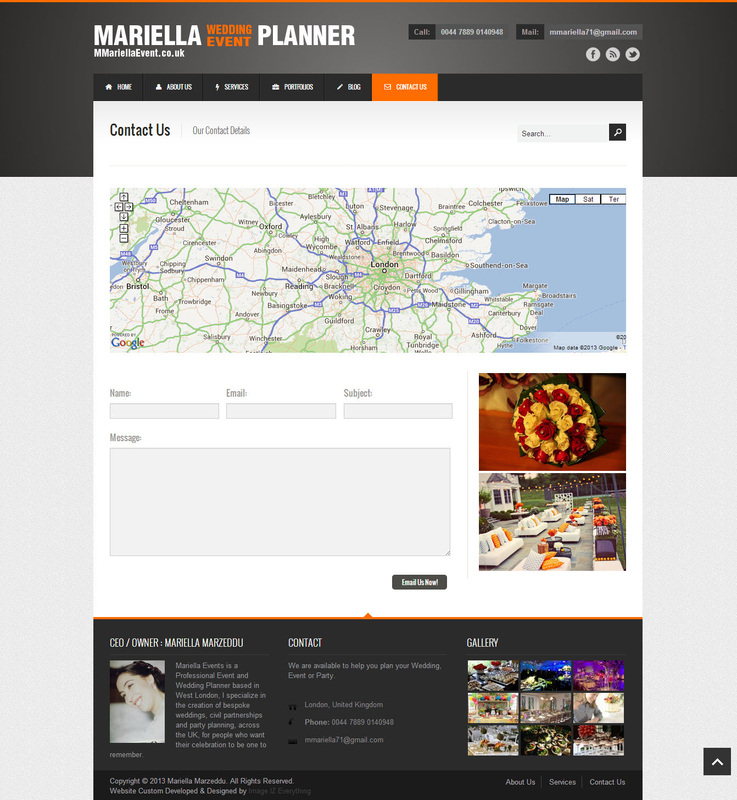 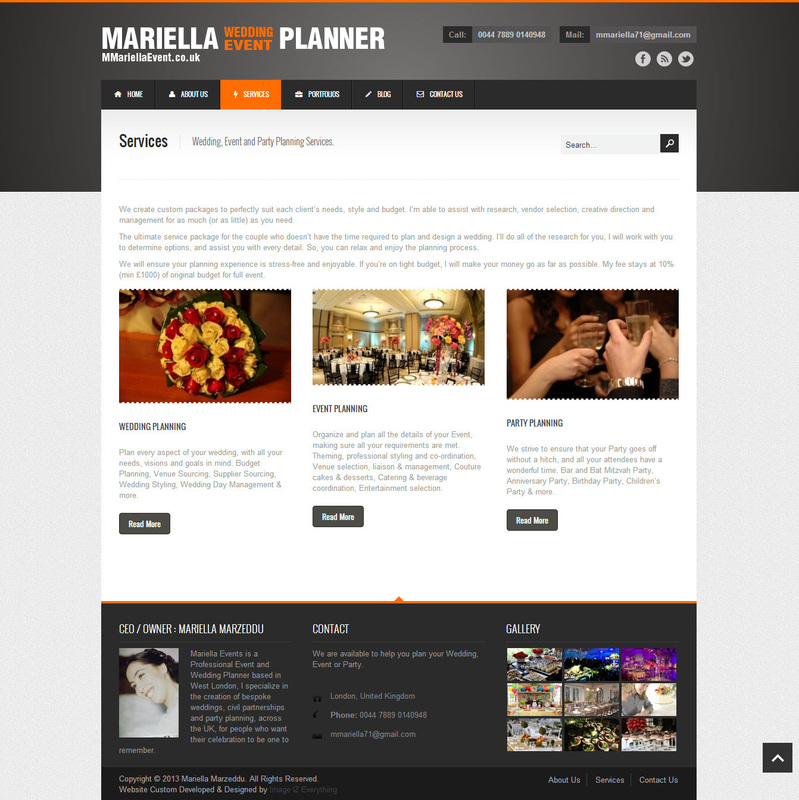 MmariellaEvent.co.uk is a Live Website/Example we developed for a Client.